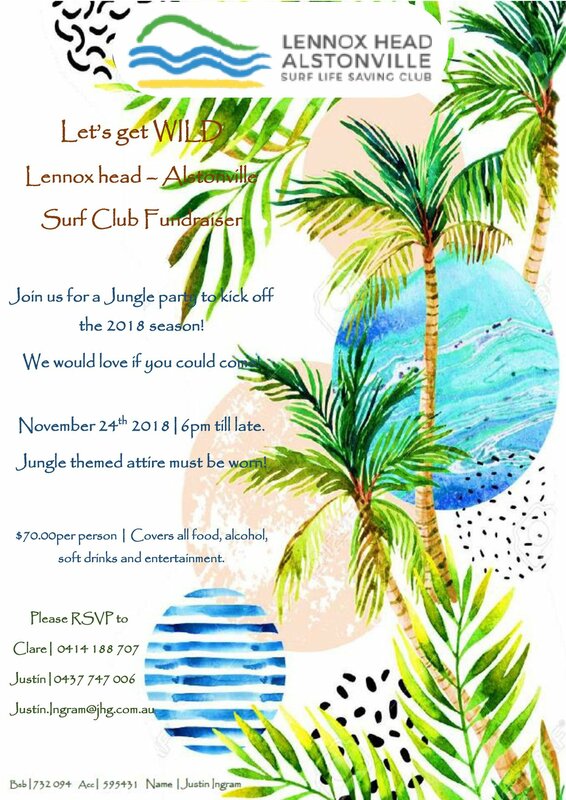 Lennox Head Enduro 2018 is upon us and registration will be online! The event is open to competitors aged from under 11 to under 17, and includes swim, board and run legs, with distances increasing with age. Under 11 competitors swim 400m, board paddle for 1km and run for 1km; whereas under 17 competitors swim 1km, board paddle for 3km, and run for 3km. This is our regions premier junior lifesaving endurance event, and gives our juniors the opportunity to sample the competitive world of an ironman/ironwoman in a safe and well supported community environment. You can still register on friday evening from 5:30 pm – 7:30 pm and Saturday morning from 7:30 am – 8:30 am. Race briefing will be at 8.30 am. Marshalling will commence at 8.45 am for a 9.00 am start. A map of the course for each age group will be available on the day. The event will be conducted in accordance with the current SLSC Competition Manual. All competitors must be current nancial members of their nominated SLSC. If ocean conditions are deemed to be unsuitable for competition for any reason, the swim and/or board legs will be shifted to the adjoining Lake Ainsworth. All competitors will receive a Kozii Lycra racing singlet at Registration. This MUST be worn whilst racing. Plus all competitors in attendance at the presentation immediately following the event receive an entry into the random draw for a range of prizes. 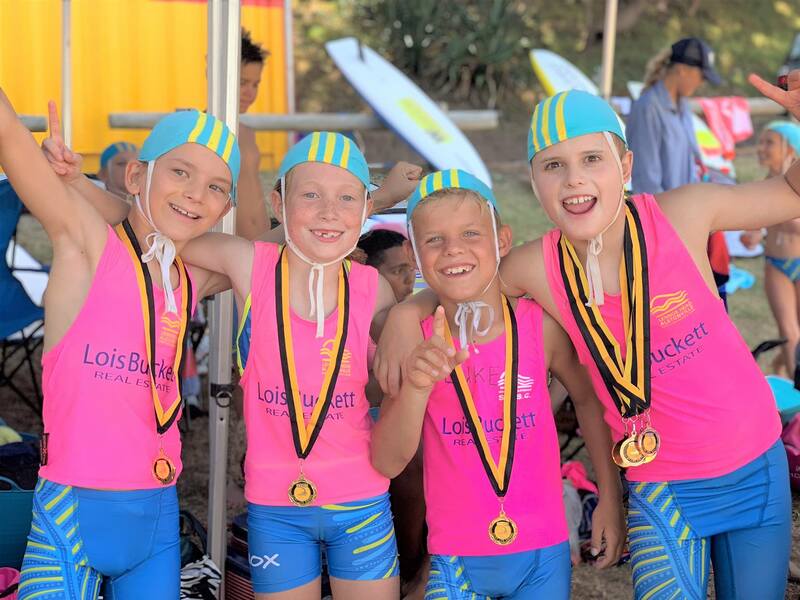 Competitors must be members of a surf lifesaving club to participate. 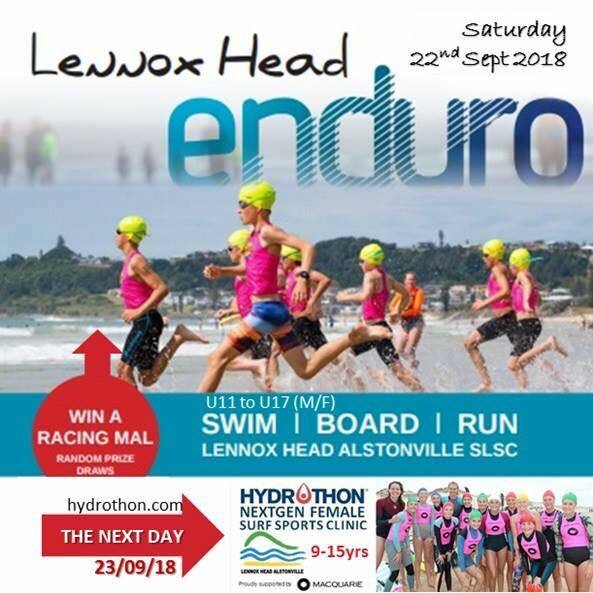 We look forward to seeing you all at the Lennox Enduro – also don’t forget on the Sunday we are also holding the Hydration all Female Sports Surf Clinic – Sunday 23rd Sept, make a weekend of it!